Common sense should tell us that “taking up our cross and following Jesus” is not code for “a better you in 5 simple steps.” Taking up our cross does not mean immediate freedom from clinical depression. It does not mean that our chronic disease will be suddenly healed. And it doesn’t mean that painful life events will be a walk in the park. However, it does mean that there is meaning in all the suffering. 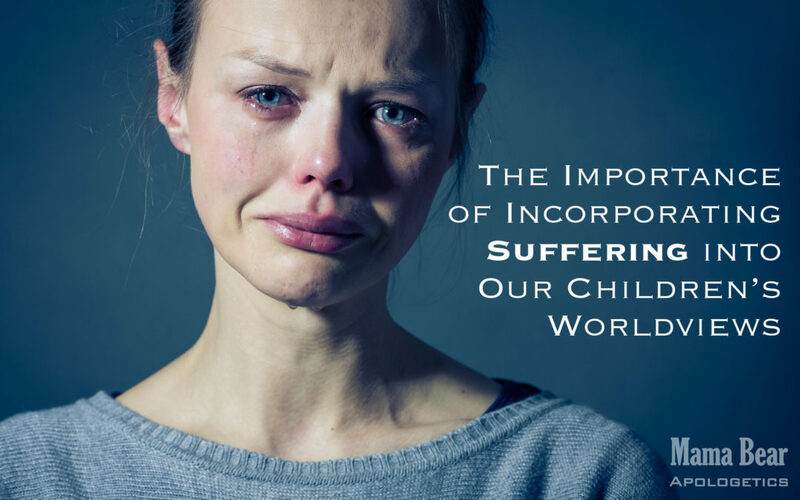 Sometimes we want to spare our kids from our own suffering. Granted, we don’t want to turn our children into our confidantes and tell them everything, but I think it is important for them to see us suffer well. Despite all our apologetics, a person who suffers well can testify to the reality of Christ is a way that arguments never will. Embrace the struggle, and let your kids watch you praise God in the storm. They will remember it. Do you remember a time when you saw a Christian suffer well? Have you had periods of time where God really met you in your suffering? Tell us about it in the comments!